Tickets for visiting the Berchtesgaden Salt Mine are available online. There is no discount for purchasing tickets in advance. But you can choose the time to visit, and you don't have to wait at the ticket counter when you arrive if you purchase in advance. Summer can be very crowded in Berchtesgaden, but it is when the weather is the most beautiful. Lines to catch the boats can become very long in the afternoon. Visit the salt mine on the first tour in the morning (9 a.m. in the summer) so that you can get to the boat dock before the afternoon rush. If possible, take a boat to St. Bartholomä before 11 a.m.
Late spring, summer and early fall are the best times to visit Lake Königssee. The boat tours are open year round unless the lake is frozen, but the hours are cut much shorter in the winter. The Berchtesgaden Salt Mine is also open year round with slightly shorter hours in the winter. Both the salt mine and the boat tour offer family passes which will be a better deal if you have several paying children joining you. I would recommend packing a picnic lunch if you don't want to have lunch in Königssee or at the biergarten near St. Bartholomä. 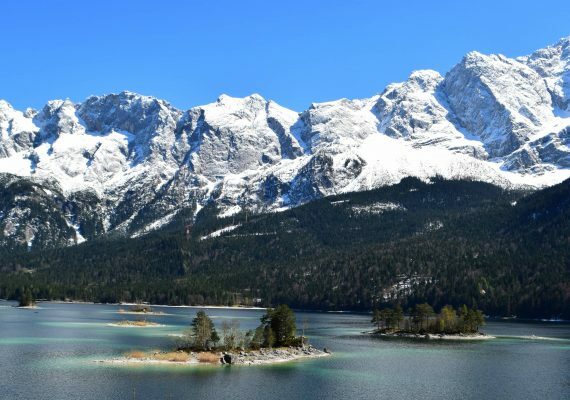 Berchtesgaden is a picturesque southern German, alpine land. A visit to the Berchtesgaden Salt Mine is exciting and fun for both kids and adults. There is plenty of history situated in this 500-year-old mine. The tour does a fantastic job of presenting its history in an interesting way. Between the train, tram, slides and boat ride, our kids left the tour wonderfully excited about salt! We all even got to take a salt rock as a souvenir. 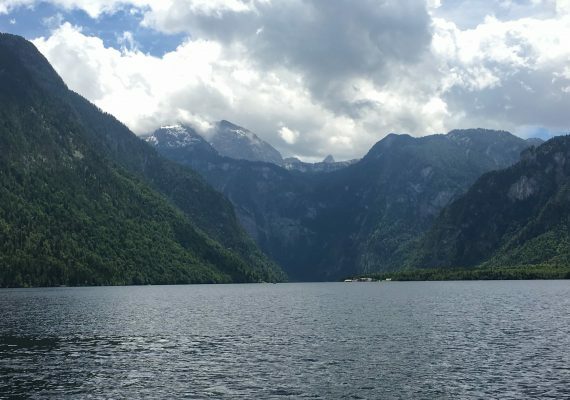 After a fun morning underground, the perfect outdoor afternoon is exploring iconic Lake Königssee. The crystal-clear waters surrounded by rising Alpine peaks are breathtaking. Then, take a Lake Königssee Boat Tour across the lake to St. Bartholomä, a historic church on the shore. Enjoy a picnic lunch on the shores or sit and relax outside at the restaurant. Following lunch, explore the trails and shores of this area. Watch out, or you'll all be swimming; the water is hard to resist. 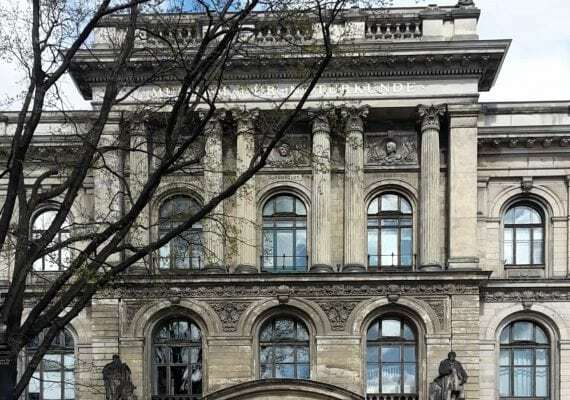 This itinerary offers long-long memories on your vacation in Germany with kids. The Berchtesgaden Salt Mine is an active salt mine open since 1517. With over 500 years of history to explore, this tour begins with a wardrobe change. After you change into your miners clothing, board the train for your ride into the mine. Throughout the tour, your guide (and audio guide if you can't speak German) lead you through the history of how mining salt came to be today. What an interesting process. The salt here is actually encased in another rock and is mined using a wet mining process and freshwater. During your exploration of the mine, you see some of the tools used throughout the 500 years of mining here, 3D light displays, rock formations and even a laser light show. What makes the tour so exciting is the transportation. A train, a tram, 2 wooden slides, a boat and another train transport you throughout the tour. History and excitement all rolled into one tour about salt. DIRECTIONS The Berchtesgaden Salt Mine is located in Berchtesgaden at Bergwerkstrasse 83. Parking is located across the street from the mine entrance. There is a tunnel under the road to walk to the mine entrance. TIP The slides can be intimidating for little ones, there are ramps or stairs to use if needed. Infants are allowed in carriers, but no strollers are allowed. It is chilly and dark in the mine, so dress appropriately. The tour is approximately one hour, so use the bathroom before you change into your miners clothes. Pictures are not allowed inside the mine. Lake Königssee is located just south of Berchtesgaden, in Bechtesgaden National Park. The picturesque Alps and gorgeous crystal-clear water make it an ideal place to spend a beautiful day with the family. Known as Germany's cleanest lake, the only boats allowed on the water are electric boats, row boats and pedal boats. The electric boats leave from the docks at Schönau. The boats stop at St. Bartholomä and Salet (from April to October). The sharp-rising Alpine walls on either side of the lake provide the perfect echo, demonstrated by your boat operator and a trumpet. After approximately 30 minutes, disembark at St. Bartholomä and enjoy a picnic or lunch at the small restaurant located by the church. Visiting the church and strolling along the many trails make for a beautiful afternoon. The water is cool, but so beautiful, so it's almost impossible to keep at least your toes out. After spending the afternoon enjoying the pristine nature, catch the boat back to Schönau. DIRECTIONS It's an approximately 15-minute drive from the Berchtesgaden Salt Mine to Königssee. There is paid parking near the tourist information center. After parking, walk down the main street lined with shops toward the lake. The boat ticket office is right next to the dock. TIP Either pack a picnic lunch to enjoy on the grass or by the waters at St. Bartholomä, or enjoy lunch at the restaurant. We had great intentions to keep our kids out of the cool water, but I would pack a towel or two and extra clothes just in case. The lines for the boat trips can get very long in the summer and on sunny days.